NON REFUNDABLE in any case. CUSTOMER NO SHOW OR LATELY CHECK-IN WITHOUT PRIOR NOTICE, THE RESORT RESERVES THE RIGHT TO CANCEL THE BOOKING WITH NO REFUND. Prices are for 2 people sharing a room. Extra person will be charged 1000 THB per night includes breakfast. 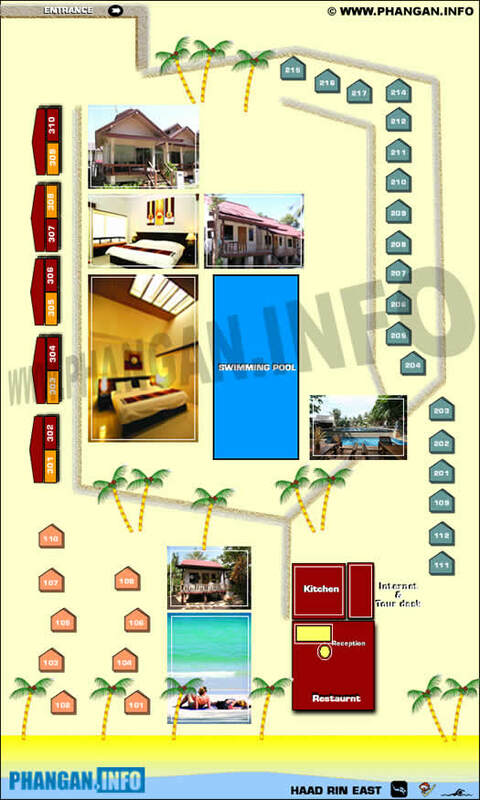 - The extra person may use a sofa (Only for Beach Front and Villa Pool View). - The extra person may use a mattress on the floor or bed depend on available. Baby cot is available for Palita Suite Type A and Palita Suite type B only. Check in time : 14.00 hrs. Full Moon Reservation: A minimum stay is 5 nights, and arrival date is at least 5 days before Full Moon Date. Compulsory Full Moon Gala Dinner is 500 THB per person (Adult) and 250 THB per person (Child under 10). Christmas Reservation: A minimum stay is 5 nights, and arrival date is on or before the 20th December only. New Year Reservation: A minimum stay is 7 nights, and arrival date is on or before the 26th December - check out 2 January only. Compulsory New Year Gala Dinner on the 31st December 1,500 THB per person (Adult) and 750 THB per person (Child under 10).